Sheets measure 8 x 12 inches each (20 x 30 cm). An assortment of classic Christmas colors. 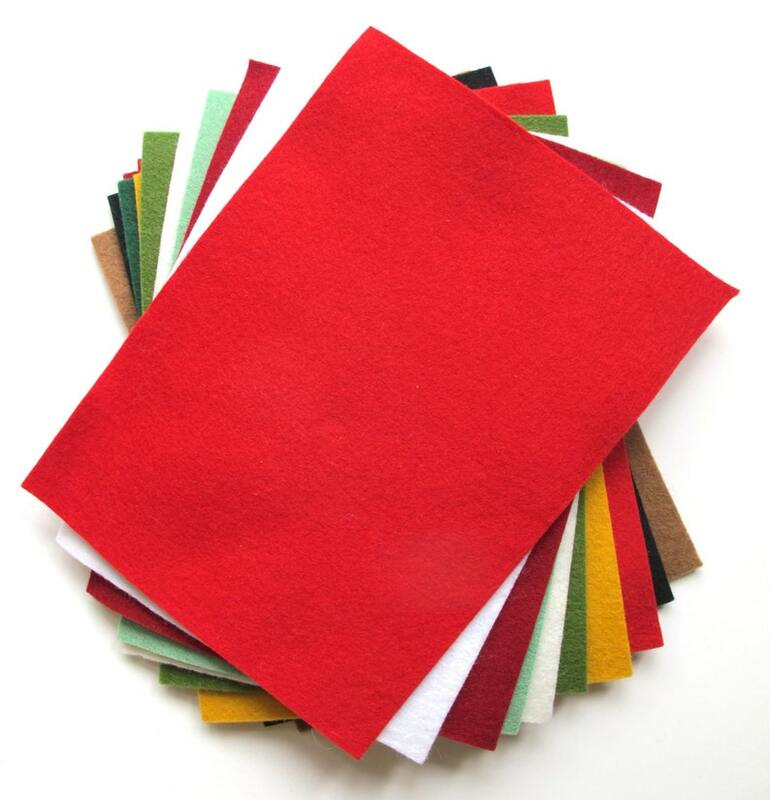 WOOL FELT OPTION: A total of twelve sheets of merino wool felt. EMBROIDERY FLOSS OPTION: Wool felt and Embroidery Floss. six-strand, divisible DMC embroidery floss. A total of twelve skeins, 8.7 yards each. One card for each of the twelve wool felt colors shown and listed above. FELT AND STUFFING OPTION: Wool Felt and Wool Stuffing. two-ounce bag of pure wool stuffing.